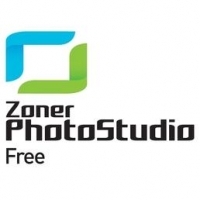 Zoner Photo Studio Free is your carefree way to work and play with your pictures. Why waste time learning more than one program when just one is all you need to manage, edit, and share your photos? Zoner Photo Studio Free makes it easy to download your pictures, sort and organize them, find the ones you want, fix commmon problems, get creative, and then share your pictures on paper or on the Web. Editing and adding effects is straightforward and painless, and gives astonishing results. And you'll organize your photo archive simply and effectively using EXIF picture information. Publish them to a HTML gallery (nice templates included), print them, email or create a picture CD with integrated viewer. Additional features include image conversion, batch processing, resizing, integrated burning and FTP, slideshows, Video CDs and more.